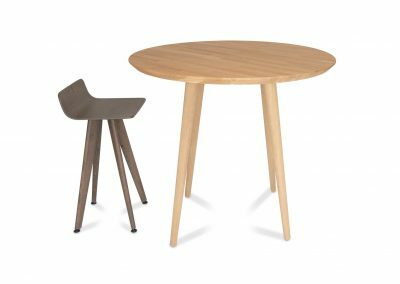 The Cross solid chair is made of solid wood with an oak veneered scale. 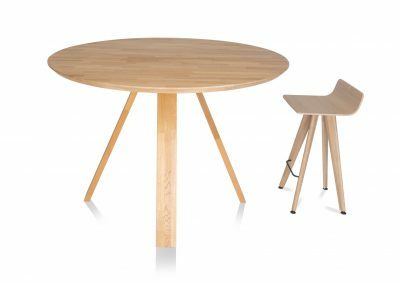 The rounded legs are place in a cross which combine perfectly with the V Square tables. 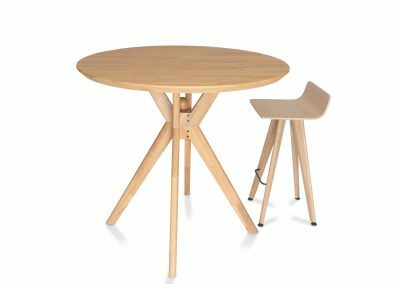 The chairs can be produced in beech or oak wood and are stained in different colors.